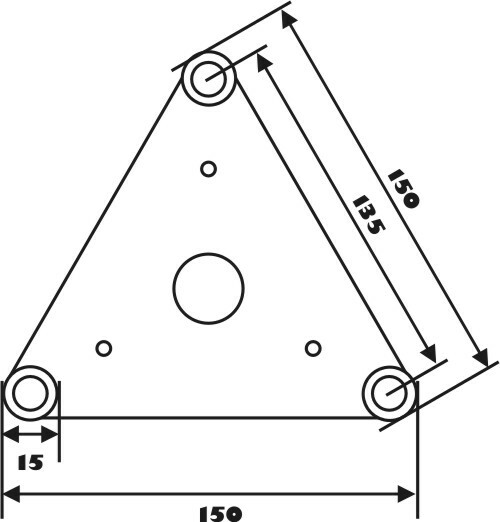 DECOTRUSS is a 3-point truss system made of steel. 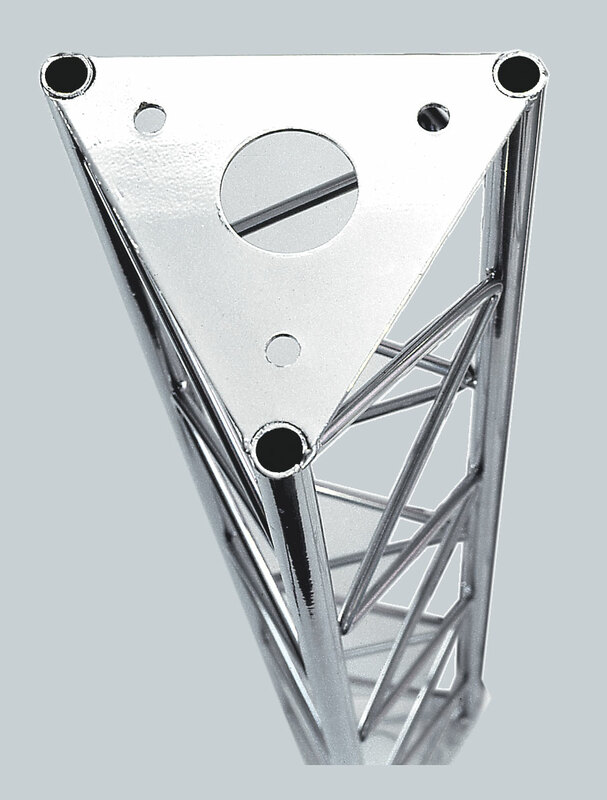 The individual elements are connected via three M10 bolts and nuts. The advantage of the bolt connection system is that these bolts and nuts are easily available in case of loosing fasteners. The three main chords are made of 15 mm steel tube with 1.5 mm wall thickness and can only be used for decorative purposes. 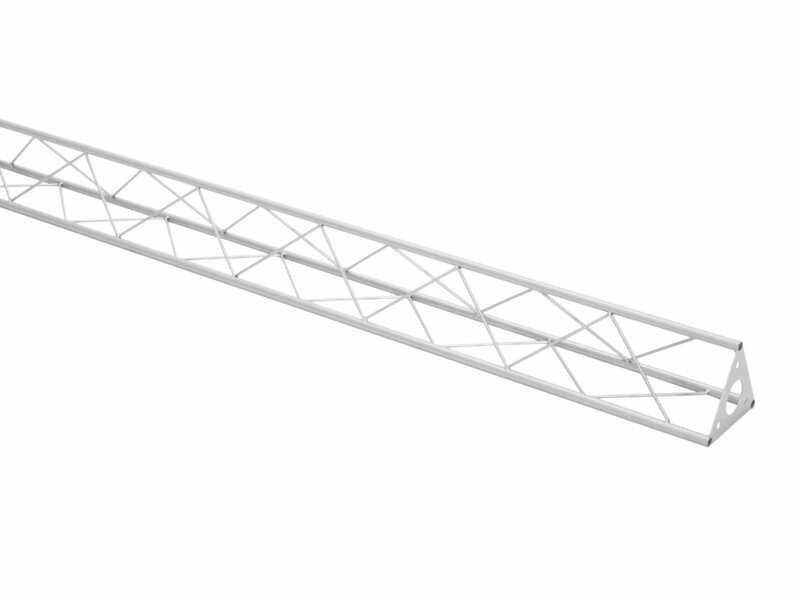 With its minimal outer dimensions of 150 mm, DECOTRUSS is ideal for creating individual design-elements in decorative areas of private homes, fair booths, shops, discotheques and theatres. This truss system is a mere decoration system convincing by its compact dimensions, low storage requirements and easy transportation.